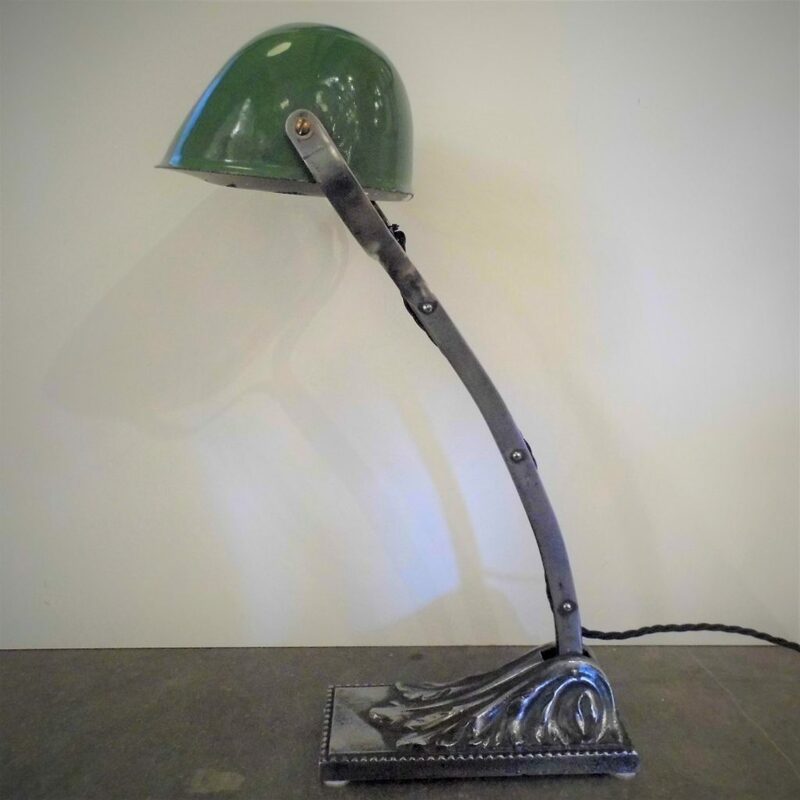 A superb vintage bankers lamps by NIAM of France circa 1920. 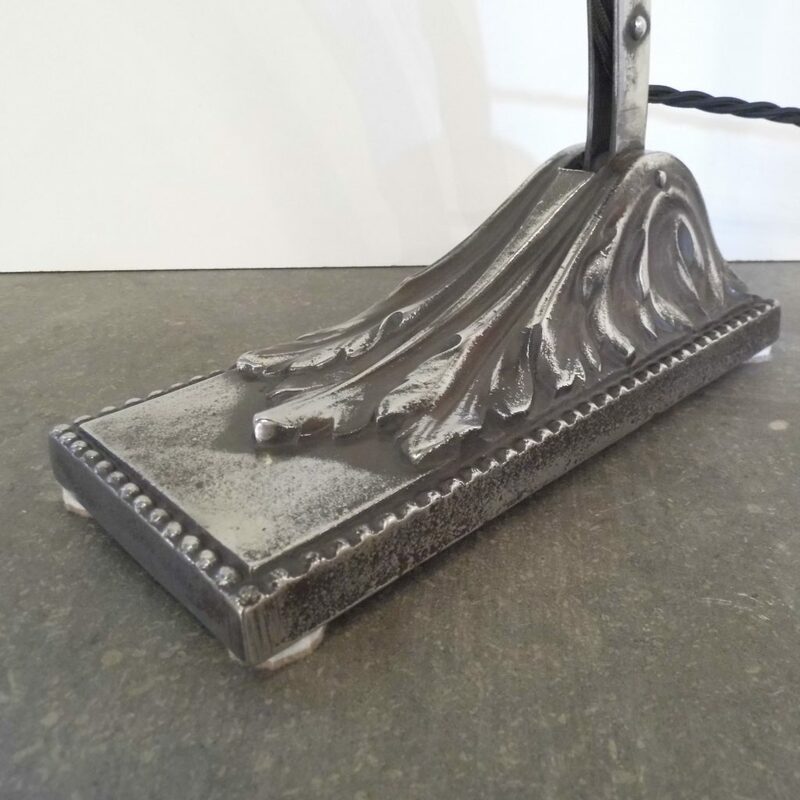 The Acanthus Leaf moulded steel base is very distinctive and unusual. 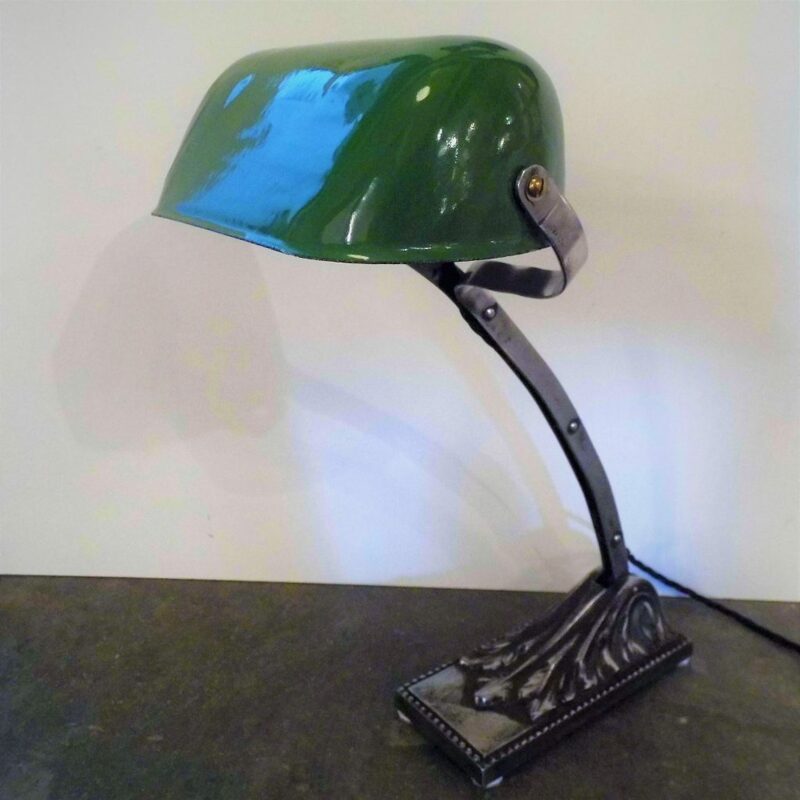 It features a green vitreous enamelled shade and the arm and shade are adjustable for angle. We have had the base and arm metal polished which has worked out very well. It has also been rewired for UK use with black braided 3 core cable. It measures cm high by cm wide and is in good condition. We are able to accept major credit and debit card payment over the phone on 2072580662 . Alternatively you can use the Paypal button below. Please contact us if you wish to pay by bank transfer or cheque. >Simon kluth @ 2018Travers Antiques Alfies Antiques Market. 13-25 Church Street London NW8 8DT.